The Silent X-Stream™ Air-Blade™ air knife provides increased efficiency and very low noise levels compared to the Standard version Both units utilize the quality Haug static bars – the RN bar for most applications or the extra strong VS bars (Triple X versions) for very high static charges and extremely high speeds. The Silent X-Stream™ Air-Blade™ uses a small amount of compressed air for a powerful, and adjustable force with “laminar” flow to eliminate charges in applications where static bars cannot reach or where high speeds are a factor. Normally the Standard Model RN Haug brand static bar can address most applications. For extremely high speeds and high charges the extra powerful VS model is used. For washdown applications (such as pharmaceutical areas), even a washable model is available. Standard Air-Blade™ Ionizer comes with a standard strength Model RN Haug static bar. and are ideal for most static removal applications. X-Stream Air-Blade™ Ionizer with the extra quiet Nex Flow X-Stream Air Knife and standard Strength Model RN Haug static bar. These units apply to most static removal applications where noise levels must be extremely low. Super Triple Standard Air-Blade™ Ionizer with a standard Nex Flow Air Knife and a triple strength Model VS Haug static bar. are ideal for static removal applications where static charges are unusually high and extra ionization is required such as very high speed applications or materials that can produce very high charges like Mylar or tissue. Super Triple X-Stream Air-Blade™ Ionizer with extra quiet Nex Flow X-Stream Air Blade™ Air Knife and a triple strength Mode VS Haug static bar. 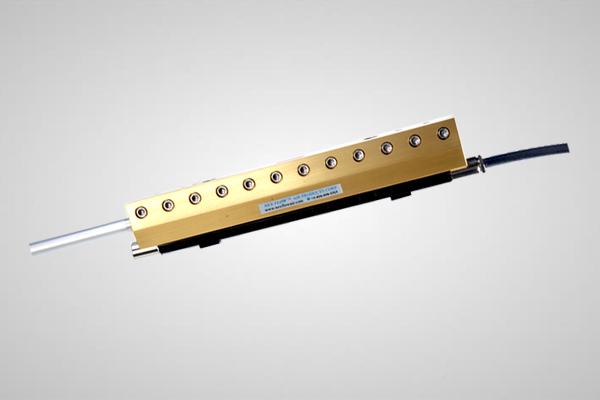 These units are ideal for static removal applications where static charges are unusually high, so extra ionization is required and where noise issues are important. in USA Richmond Hill, ON, Canada for international orders.